Some wireless doorbells can operate at over 1300 feet, but do you really need it to work over that distance? Here we take a look at the best long range wireless doorbell, for those of you who do need it! The top 3 options here can also be seen on our collective best wireless doorbell page. 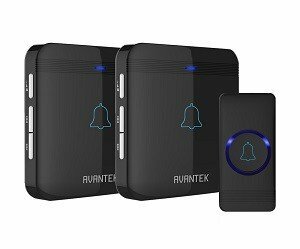 This is the first of the Avantek wireless doorbells if you need a long range wireless doorbell. I will be honest, there is not a huge difference between the top 2 because they are all made by the same company! The D3-B was picked because it looks the best and is more up to date than the other Avantek options. 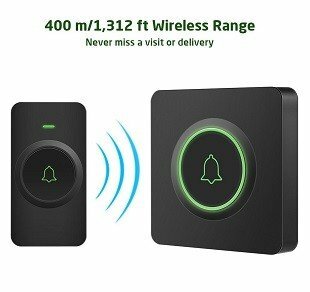 Not only does it have a range of over 1300 feet (if there is nothing in the way), the volume can be increased to a maximum of 115dB, which is awesome because these ultra long range doorbells need to be heard too! Rain is not a problem either because the push button is rated IP55, which basically means you can spray it with water from any angle and it will not break it. Perfect for heavy rain. While we are on the subject of weather, the operating temperature range will cover you as the doorbell is rated to work between -20°C and 60°C (-4°F and 140°F). The DB-21 is a classic and is very highly rated, similar to the D3-B. The DB-21 is another great, highly rated option if you are looking for a long range wireless doorbell because it is rated to work at over 1300 feet (without interference) AND the volume can be pushed up to 115dB, so hearing it will not be a problem! With a push button that is rated at IP55, and also works in a temperature range of -4 °F to 140 °F, you can be certain that it will work in hot AND cold climates, with the potential of some very heavy rain showers! 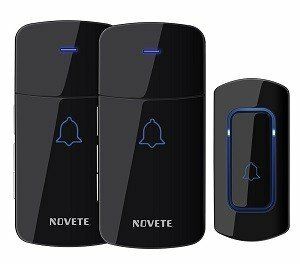 Ok, we are going to take a break from the Avantek wireless doorbells for a second to check out the long range option by Novete. Similar to the Avantek options, the Novete is also rated to work at over 1300 feet. The Novete is well worth checking out! It goes without saying that if you live in a big house, you will need a wireless doorbell that is both loud AND can work over a long enough range. Luckily (or maybe not) my house is not big enough to need a loud or long range wireless doorbell! Maybe one day I will need one for the West Wing! He chose to go with the Ring Video Doorbell 2, simply because he wanted to check who the visitor is before walking to the front door, and because it comes with lifetime theft protection! If he decided not to go for video integration, then he could have gone for one of the options on this page instead. Ok, I know most apartment blocks already have an intercom system, with the ability to remotely open the front door so visitors can enter the apartment building. But, there are some apartment blocks that do not have an intercom system. You may even be tasked with setting up a wireless doorbell system. In an apartment block, you will certainly need a long range solution and one you can rely on. There you have it, if you have a big house, live in an apartment or do a lot of work in your garage, you now know what the best options are for a long-range wireless doorbell. 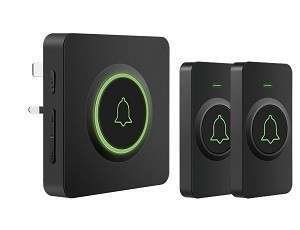 It is well worth considering that although the advertised range is clearly defined, it is impossible for the doorbell companies to advertise the actual working range because they are not aware of the interference at your property. When I say interference, I mean walls, other electrical items, wiring etc. More details can be seen in our post for troubleshooting wireless doorbells, and are also detailed in our full range v working range post. It is important to know what the working range will be for any wireless device, doorbells included. Ultimately, the long-range wireless doorbells that have a bigger advertised working range will have a more powerful transmitter. Therefore the ACTUAL range (when faced with interference) will still be bigger than the run of the mill wireless doorbells. 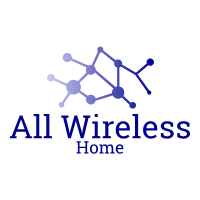 Good luck with whichever option you go for, and if you have any issues with any of the wireless doorbells on this page then please let us know. You can also take a looks at our wireless doorbell review page to check other options out!